Smoothies are one of the healthiest (and tastiest) breakfasts around, but seriously—who wants to be lugging out the blender every morning? This is where smoothie hacks come in to play. 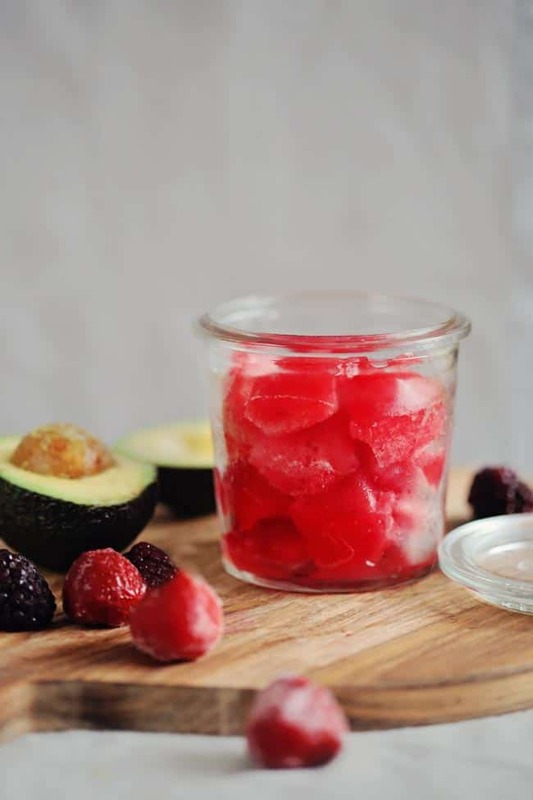 Not only can you freeze a month’s worth of prepped smoothie ingredients ahead of time to make the process as painless as possible; you can also freeze the entire smoothie in an ice cube tray, pop the cubes into a mason jar and let the smoothie melt in the fridge overnight, in the car on your commute, or in the fridge at work. Genius! Here are 3 summery make ahead smoothies that are perfect for this method. 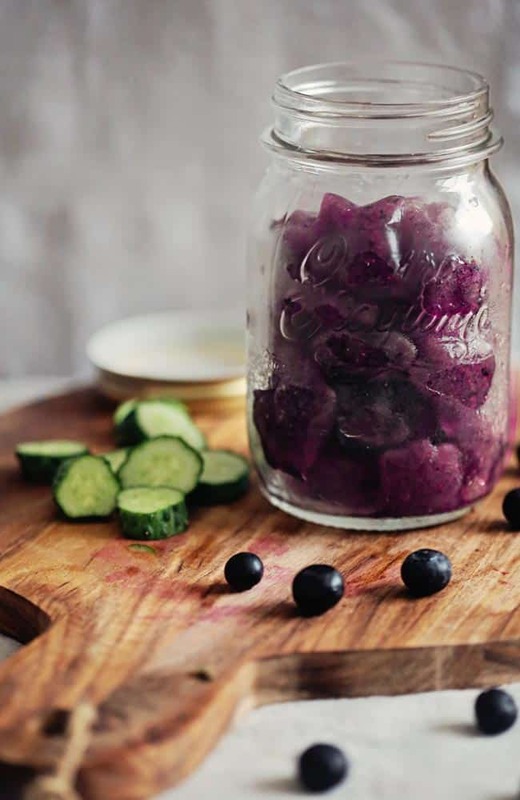 Cucumber and coconut water are especially hydrating, and blueberries contain plenty of fiber and antioxidants. A summery smoothie that can be made ahead of time. Blend all ingredients. Drink immediately, or freeze in an ice cube tray, then place in a mason jar in the fridge to melt a few hours before you're ready to drink. 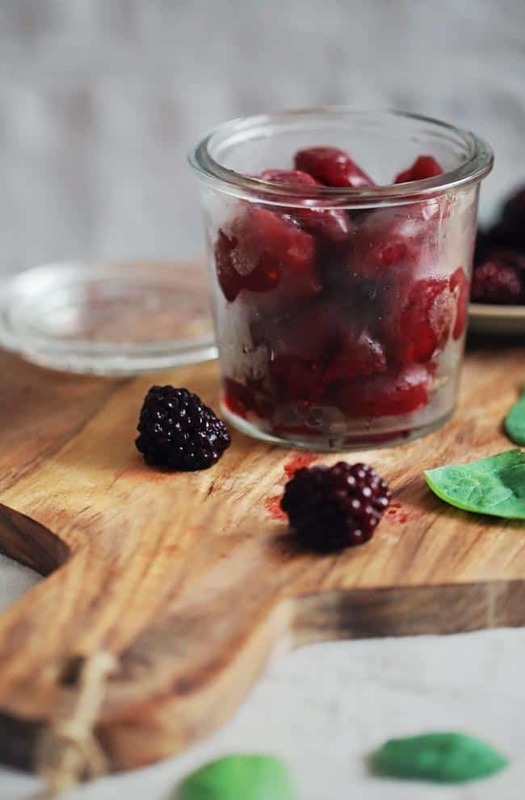 Take advantage of the plethora of blackberries and strawberries that are available in the summer months. Avocado adds omega-3s and a creamy texture, and lime cuts the sweetness of the berries. An easy, summery make-ahead smoothie full of fresh berries. Adjust your ‘tude with this soothing smoothie full of protein, fiber and mood-boosting maca powder. Full of protein, fiber and mood-boosting ingredients. Love these fresh smoothie ideas! Where can I find the little glass jars with lids that the good mood smoothie is in? Mmm!! These look great. I love putting coconut water in my summer smoothies in place of coconut milk. It makes it light and refreshing. I like this make ahead idea!